Because you never know when hunger will strike. Waffle Fries: Our most popular menu item for good reason - the simple recipe for snackable, potato perfection has remained unchanged since 1985. Try them with Polynesian Sauce for a treat that’s equal parts savory and sweet. Chick-fil-A Nuggets: You choose how (and when) you want to enjoy these bite-sized pieces of goodness: breaded or grilled; 4-, 6-, 8-, or 12-count; and plenty of tasty sauce combos to satisfy any craving. Chicken Noodle Soup: A staple on the menu since 1982, a cup of the classic soup hits the spot when the craving for something hearty kicks in. FUELING UP FOR HIGH-PERFORMANCE FOCUS? 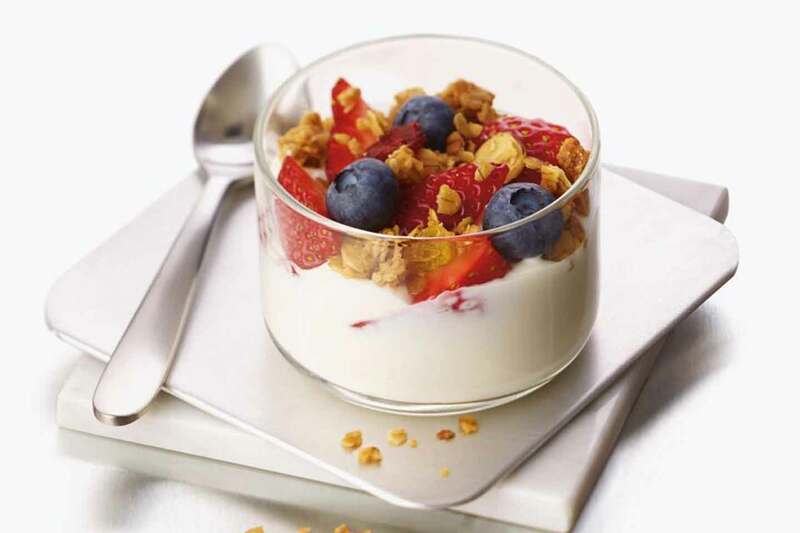 Greek Yogurt Parfait: Is it a breakfast, a snack or a sweet treat? All of the above! Packed with 12 grams of protein, our creamy honey vanilla Greek yogurt is served with fresh strawberries and your choice of toppings. Superfood Side: The cure to a midday energy slump, this side dish is the perfect nutritious snack. Made with Broccolini® and kale, it’s mixed with a maple vinaigrette dressing and dried sour cherries and served with roasted nuts. 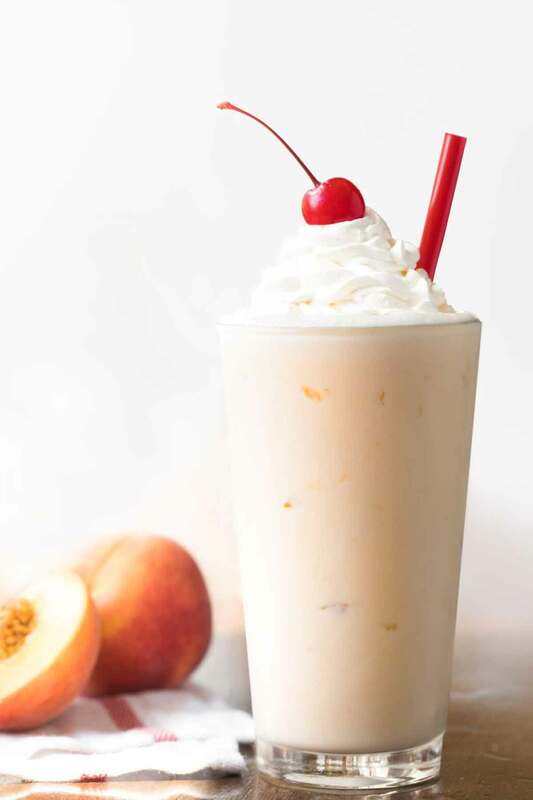 Peach Milkshake: Whether you need an afternoon pick-me-up, or sweet treat any time of day, this shake features Chick-fil-A Icedream® and real peaches, topped with whipped cream and a [literal] cherry on top. Chocolate Chunk Cookie: When you just need to treat yourself, nothing beats a warm cookie packed with oats and both semi-sweet dark and milk chocolate chunks. 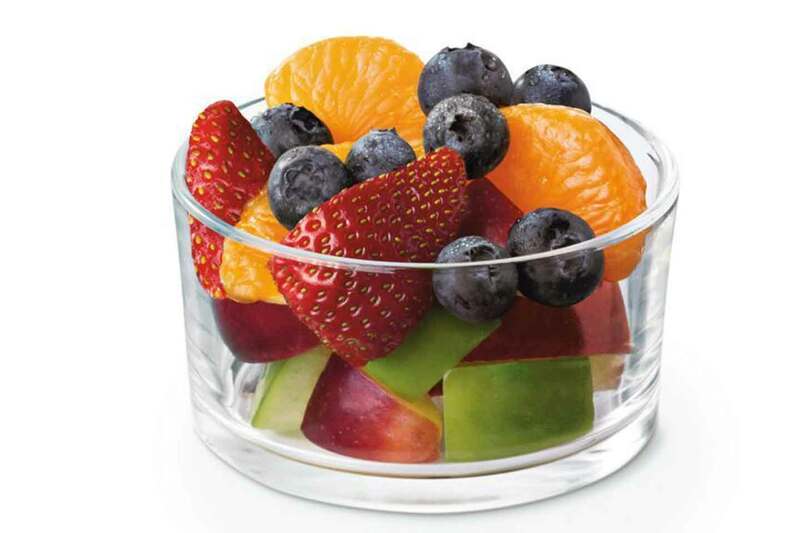 Fruit Cup: Real fresh-cut strawberries, red and green apples, blueberries and mandarin oranges, try the fruit cup as-is, or as a sweet topping. Icedream Cone: A dairy treat with an old-fashioned vanilla taste. Try it with chocolate or strawberry toppings. 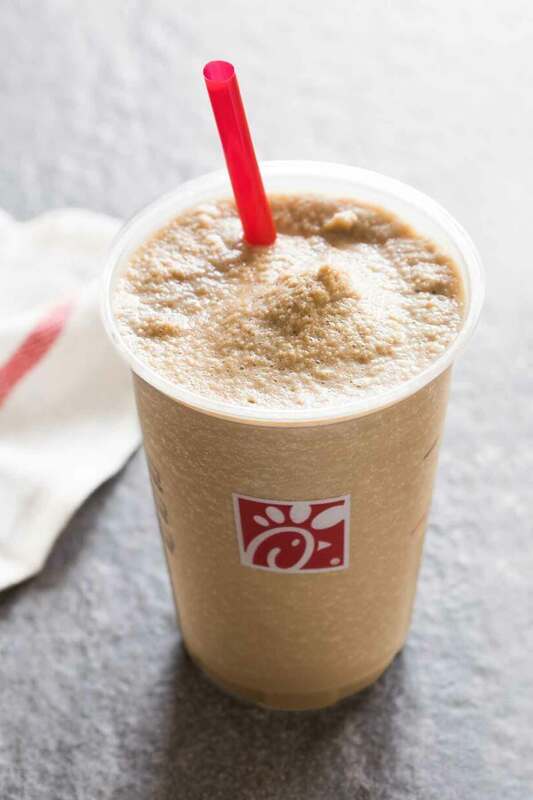 Frosted Coffee: Our famous vanilla Icedream and specialty cold-brewed coffee combo is a caffeinated twist on a traditional treat. Don’t fall prey to the snack attack! Anytime is snack time at Chick-fil-A (except Sunday!). You don’t have to break your “calorie bank” every time your stomach rumbles – Chick-fil-A offers plenty of tasty, calorie-conscious snacks. From fresh to pure “fuel food,” check out these four treats under 200 calories.